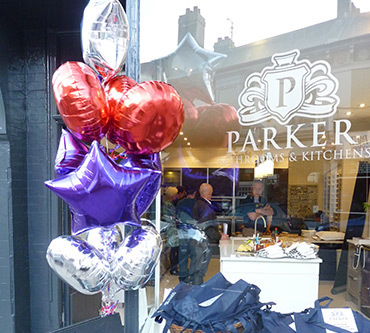 Parker Bathrooms & Kitchens provide a personalised service designing and supplying bespoke bathrooms and kitchens throughout Sussex, Surrey and London. They are a family run business that offer an extensive selection of the world’s leading brands. Located in the elegant Seven Dials area of Brighton and Hove, they have been supplying tailor-made designer products for over 30 years. As expert bathroom and kitchen designers, they collaborate with you to create the room of your dreams, paying attention to even the smallest of details. Every client and every bathroom and kitchen is important to them and guarantee that their bespoke service will give you the best design experience that you could wish for. 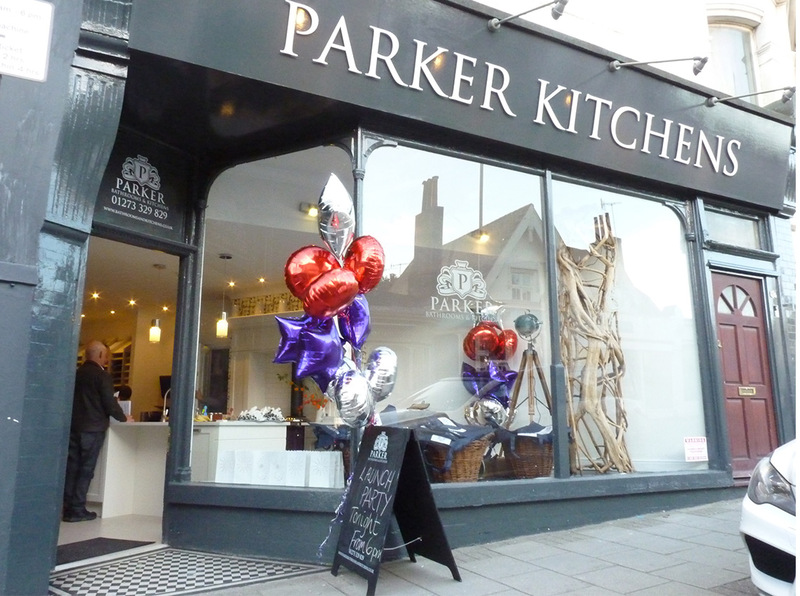 We were approached by the lovely people at Parker Kitchens, to provide some designs for signage and window graphics for their new showroom based at the Seven Dials in Brighton and Hove. As a new showroom in a delightful area, we were tasked with providing a subtle and contemporary look and feel to match the quality and style of their extensive range of products. As suppliers and fitters of high quality kitchen and bathroom products, we were keen to portray this image in their signage. 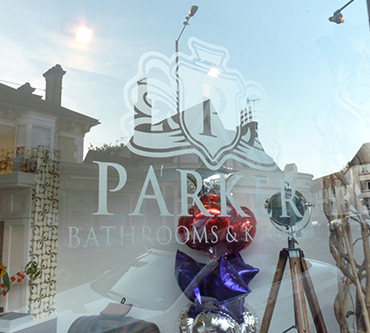 We felt that they would benefit from using their Parker crest in the form of frosted vinyl window graphics, which needed to be subtle so as not to detract from the products being displayed in the showroom. 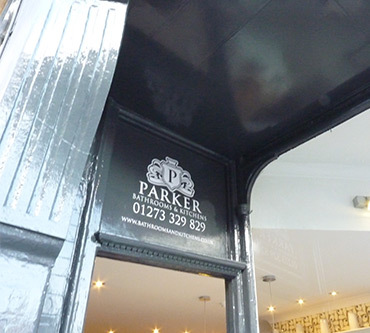 We also used the Parker crest above the entrance door with the Parker Kitchen name on the fascia signage. The use of the white and grey colour ways worked really well to produce a clean and contemporary feel. The clients at Parker Kitchens were delighted with the finished product. It was completed in plenty of time for their launch party, which was a great success. I think you will agree that the signage looks pretty splendid!! !